The Saskatchewan Trial Lawyers Association (STLA) has issued the following news releases. The Saskatchewan Trial Lawyers Association (STLA) is committed to protecting the rights of Saskatchewan residents. One of the most significant rights that litigants have enjoyed and was proposed to change was the right to select a jury to determine civil cases. The Court of Queen’s Bench has proposed amendments to The Jury Act which severely curtail a civil litigant’s right to trial by jury. The STLA is opposed to these amendments. The Court had requested feedback from the Bar so the STLA created an ad hoc Civil Jury Committee to receive feedback. Committee members include representatives of the STLA, the CBA Saskatchewan Branch, the Law Society of Saskatchewan, and the Queen’s Bench Court. 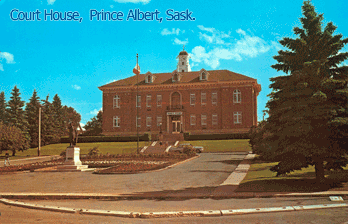 A study of jury trials with an emphasis on Saskatchewan trials was commissioned. Without the hard work and dedication of STLA's Past President, Reg Watson, Q.C. these changes may have come into force. In response to the need for a better automobile insurance system in Saskatchewan, STLA struck a President's Committee on No-Fault to conduct a thorough analysis of the current systems and had made recommendations to the current government to improve Part VIII of the Automobile Accident Insurance Act (No-fault automobile insurance). Currently, the No-Fault system creates a power imbalance where SGI adjusters, lawyers and medical personnel effectively control the distribution of benefits without an effective system of oversight. There are several areas of the legislation that are inherently problematic and have therefore resulted in the greatest number of appeals to the Automobile Injury Appeal Commission (AIAC). The committee supports a full public review and has urged government officials to fix the problems and protect Saskatchewan drivers. We continue to support a full public review and await the government's response.